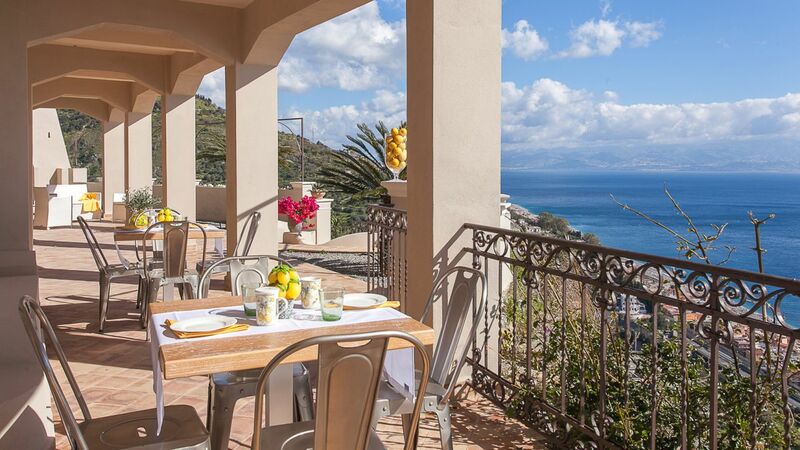 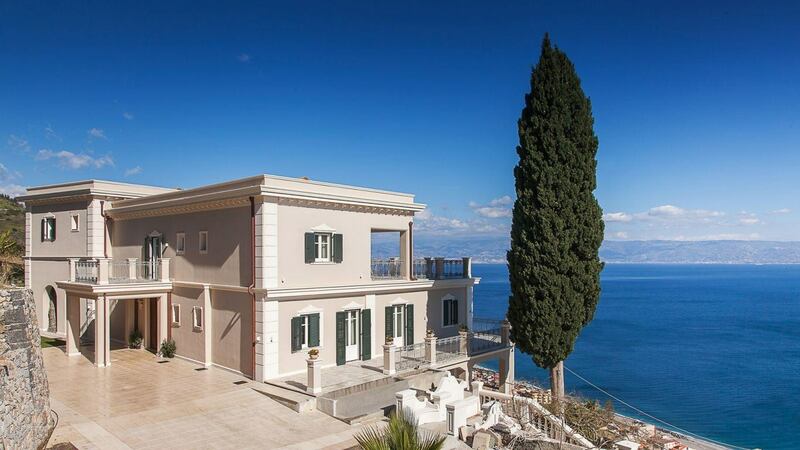 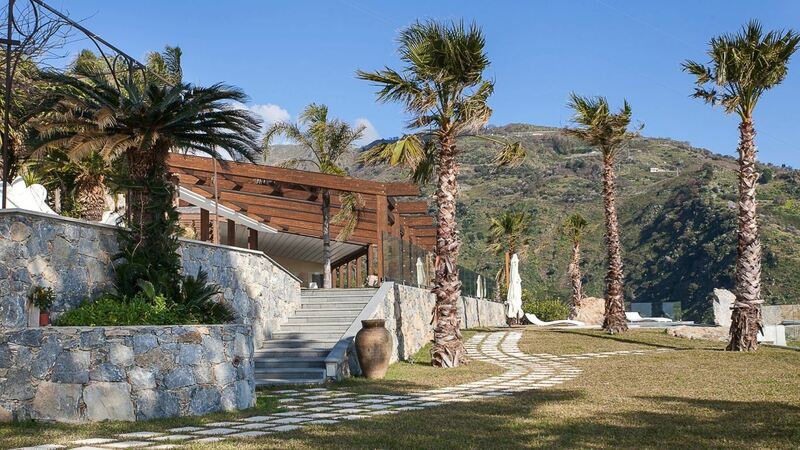 Villa Tatiana is an astonishing residence perfectly situated on a clifftop looking over the Strait of Messina to the coast of Calabria, surrounded by 10 acres of citrus groves. 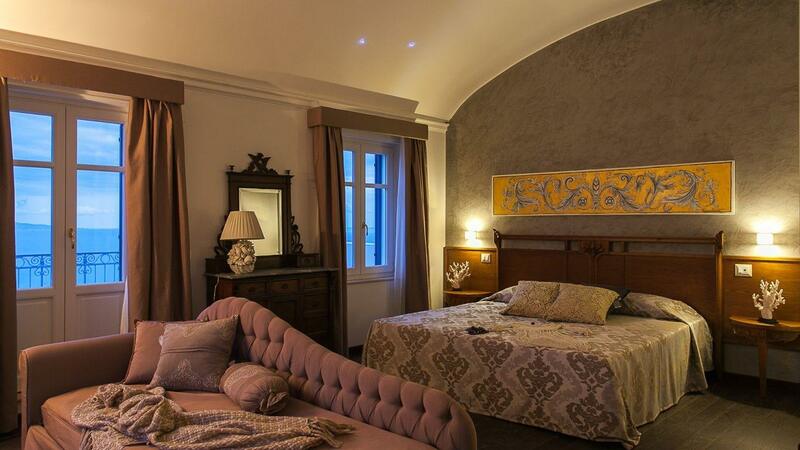 The house began life in the early 1900s as the country seat of the Marchese Calamara, but has since been completely renovated, though its original charm remains intact. 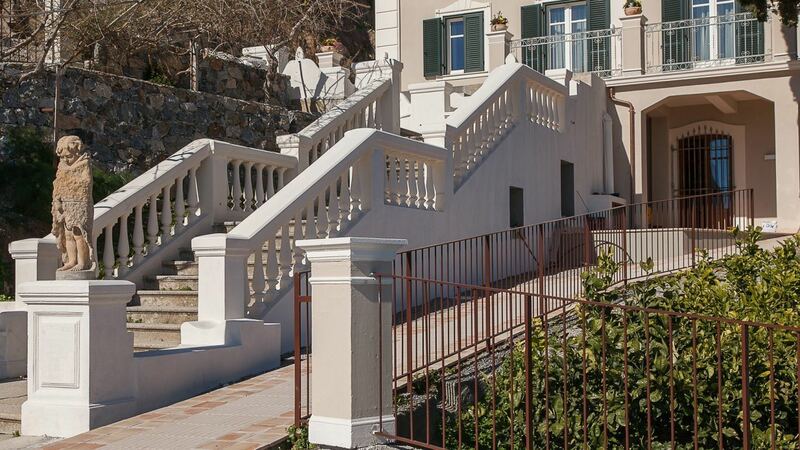 The estate is laid out on three levels: on the ground floor is the kitchen and occupying the original palmento, or grape-crushing room, a breakfast room with panoramic views from its terrace. 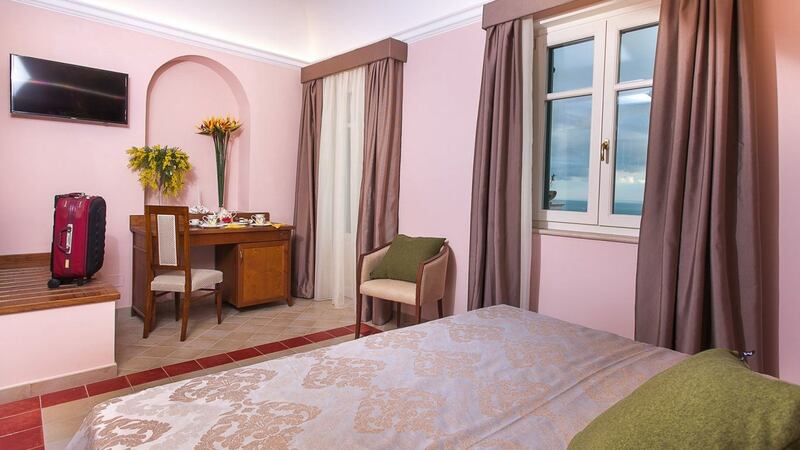 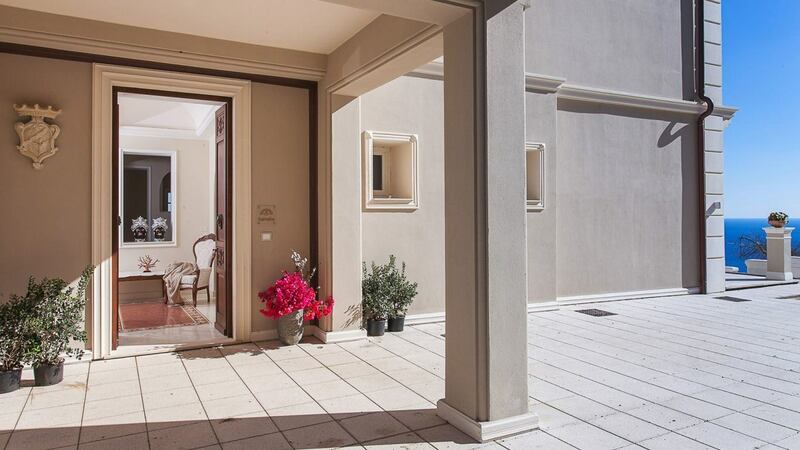 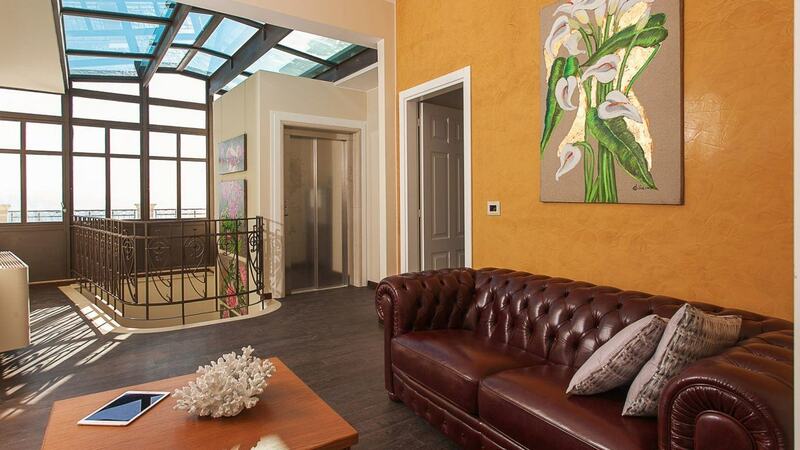 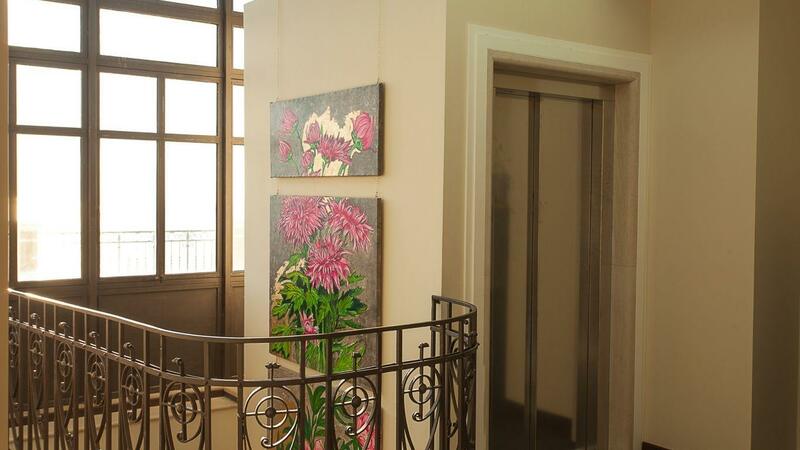 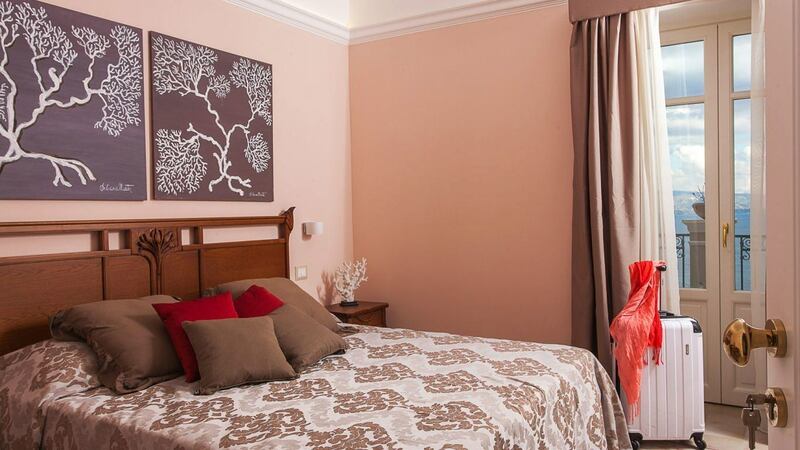 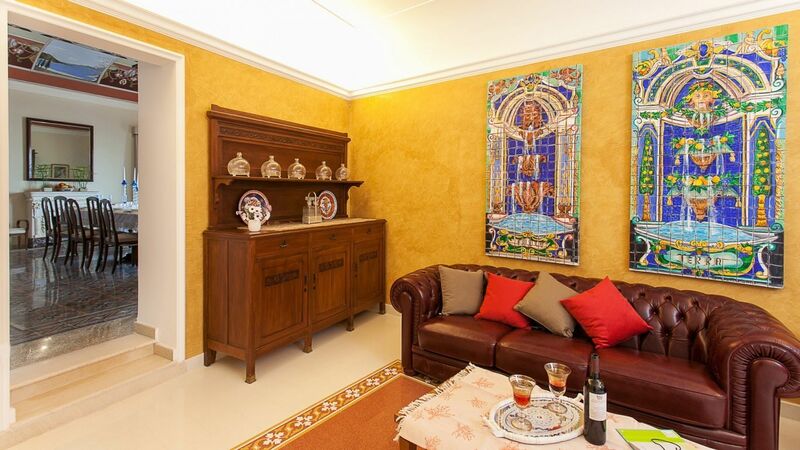 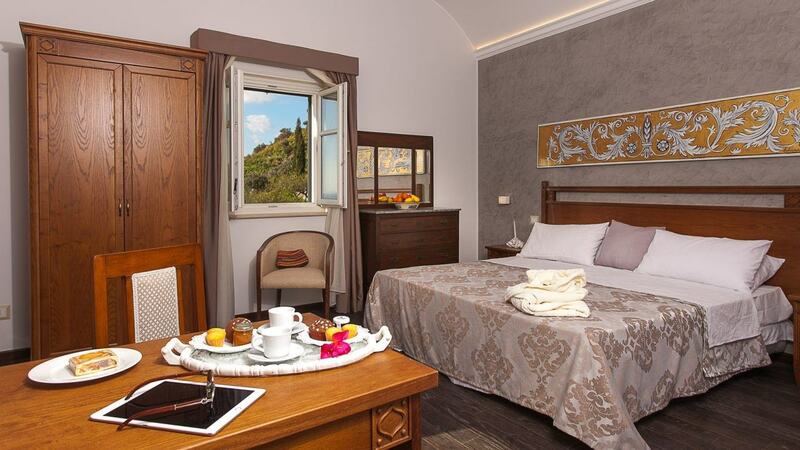 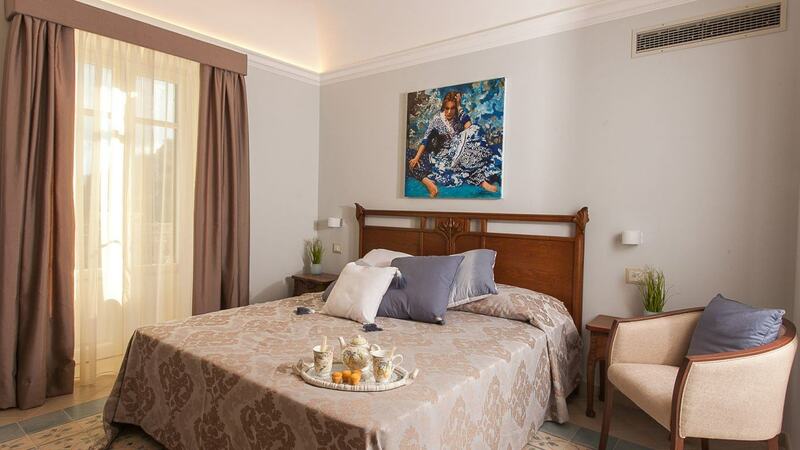 A lift connects it with the upper floors and is quintessentially Sicilian in style, with fine Classic furniture, frescoed ceilings and original floors (all beautifully restored). 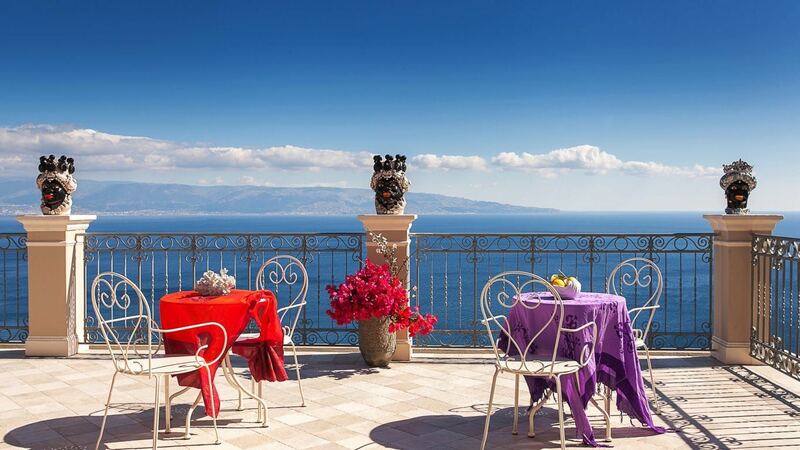 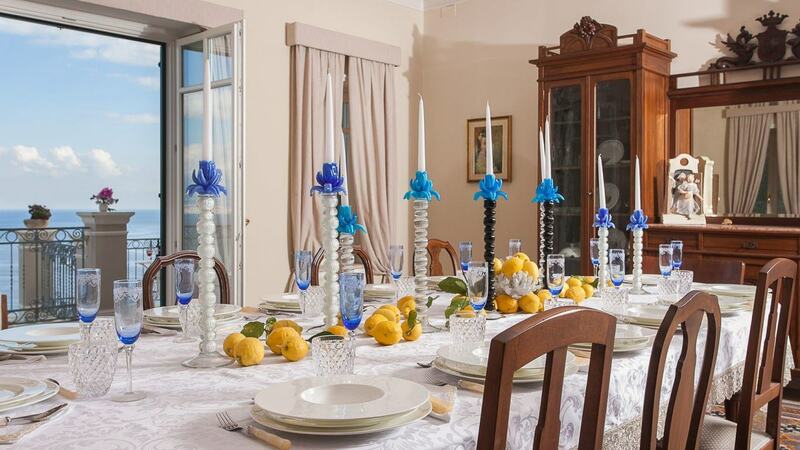 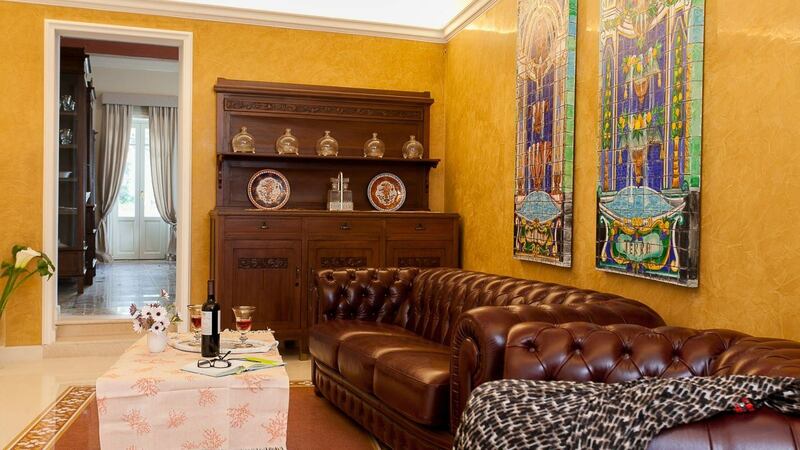 On the first floor are several intimate Salotti, or parlors, and a large dining room with spectacular views over the Strait of Messina to Calabria. 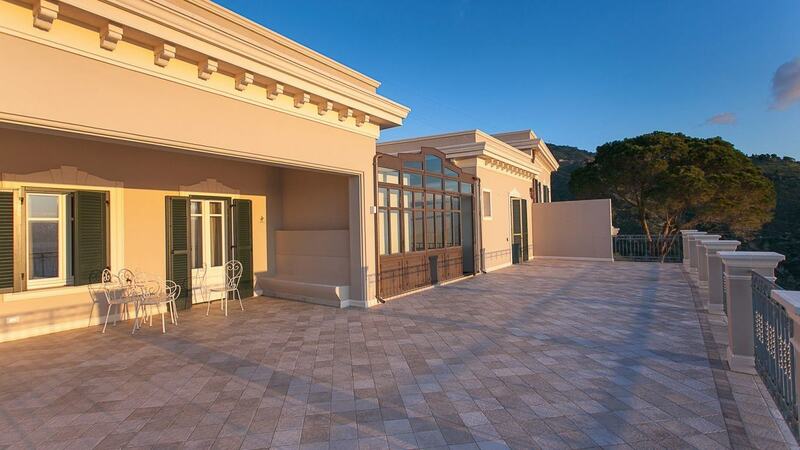 There are also five bedrooms on the first floor with ensuite bathroom, each opening onto the panoramic terrace. 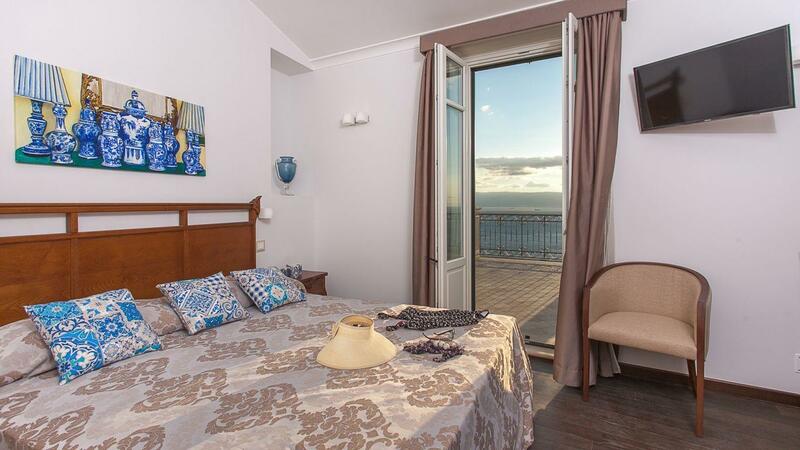 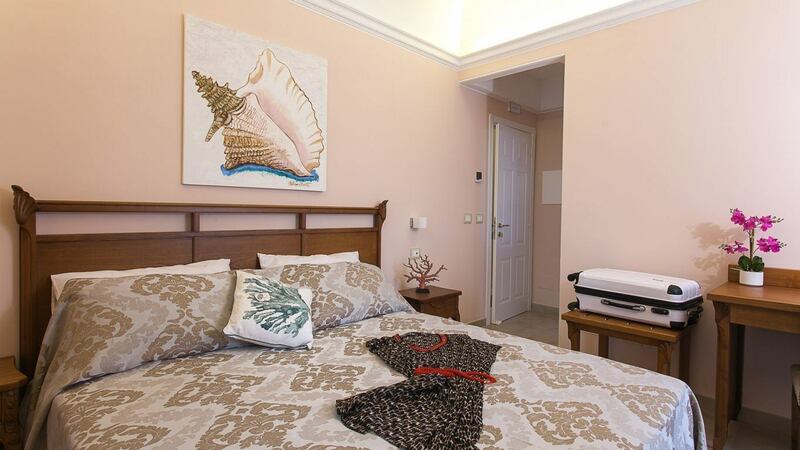 On the second floor is a grand suite with a private terrace overlooking the swimming pool and sea, while the junior suite and a further bedroom share a terrace set right above the cliff. 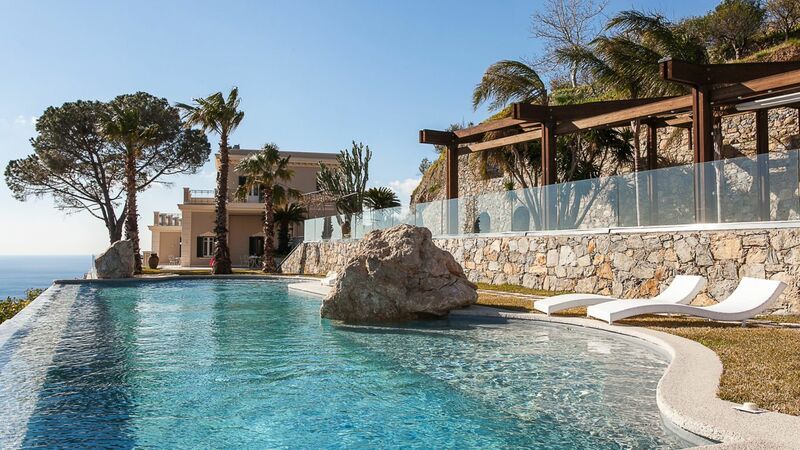 The outside features a well-manicured garden with infinity pool, and a wooden ‘stage’ set between the lawn and the cliff, which is a spectacular location for parties or al fresco lunches and dinners. 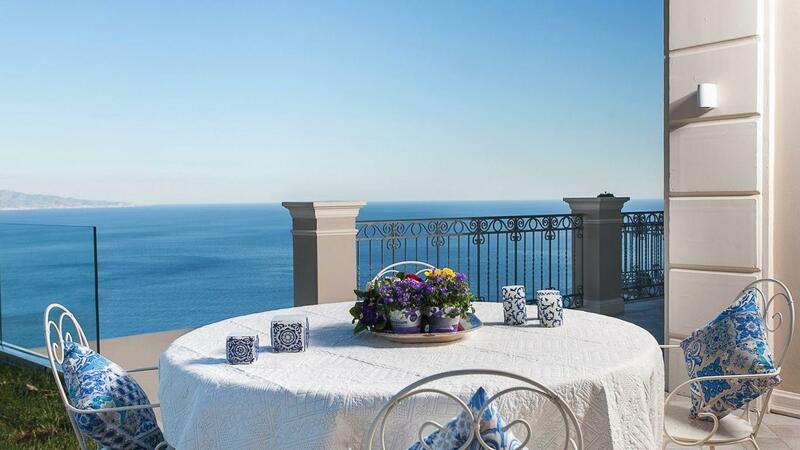 Truly, a perfect place for a perfect vacation of a lifetime.